AM3+ socket. Decent board. Should I just get a new mobo and upgrade completely, or just pick up a newer CPU? I’ve looked at some AM3+ processors and the stats don’t seem too bad, but I’ve been out of building and upgrading my rigs for a while, so I’m not sure if it’s time for a complete rebuild or not. @freeb1rd can give a lot of insight regarding AMD stuffs let’s see if he sees it. Short answer: No, there is nothing that will blow AM3+ out of the water innately. Long answer: Unless you are moving to socket 1150 (intel) but that’s a whole other story and a lot more money. What kind of CPU are you running in the board you have now? Most of the time I would suggest upgrading socket and CPU at the same time but AMD is definitely different in that regard since they don’t change sockets like Intel does and usually try to incorporate some measure of backwards compatibility, so depending on what you are running now it definitely may make sense to just upgrade the CPU alone and spend that extra money on SSD, faster RAM, etc. The CPU I’m running is pretty outdated, it’s an Athlon II Dual Core, 3.0 GHz. 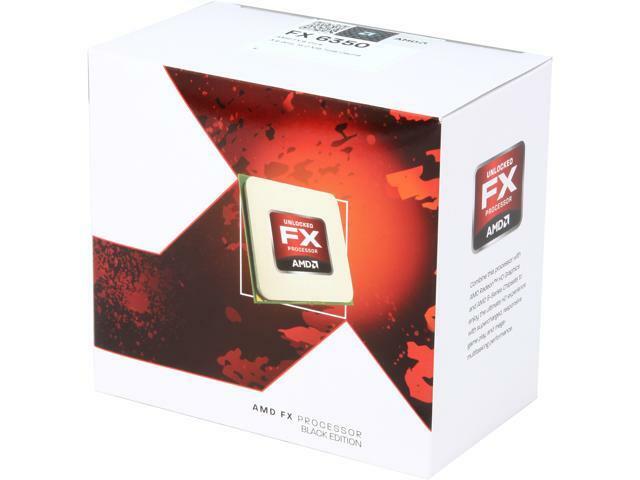 Buy AMD FX-6350 Vishera 6-Core 3.9 GHz Socket AM3+ 125W FD6350FRHKBOX Desktop Processor with fast shipping and top-rated customer service. Once you know, you Newegg! Guess I should finally get around to replacing some case fans too, then. nbd.